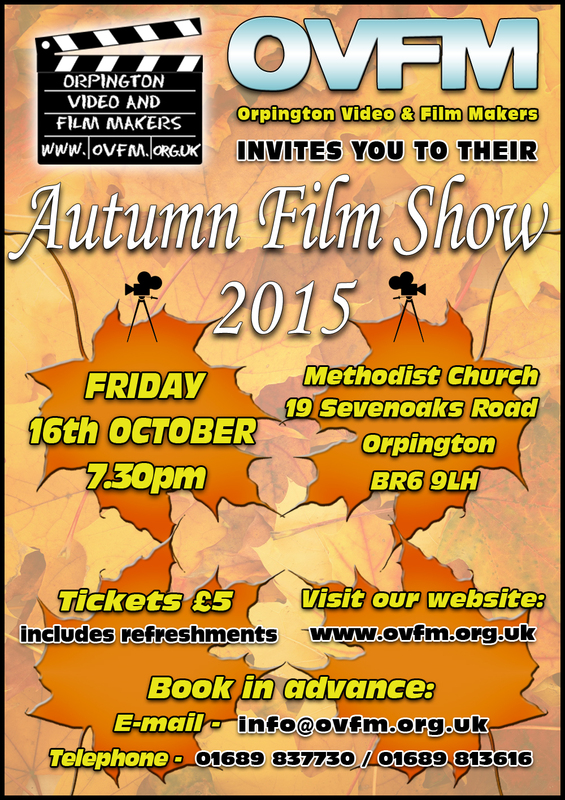 One of the most important dates in the OVFM calendar is our annual Autumn Show where we share the fruits of our labours from a year of busy filmmaking, along with some gems from our archive with the public. As the nights are getting darker and colder you’ll need something to brighten them up so why not join us for another evening of films from the very best local amatuer filmmaking talent. Club members get in free but for guests and non-members the tickets are £5 – which includes refreshments – and are available by making a request via e-mail at info@ovfm.org.uk or by telephone on 01689 837730 or 01689 813616. Don’t leave it too late as they tend to get snapped up very quickly! And of course there is our famous raffle where a selection of wonderful prizes are up for grabs provided you have that all important winning ticket! For an entertaining and sociable evening do join us on October 16th and bring along your friends and family!